Convert PDF to EXE, making PDF readable on any computer without Adobe Reader or Adobe Acrobat software installed. The conversion from PDF to EXE preserves the look and feel of the original document. 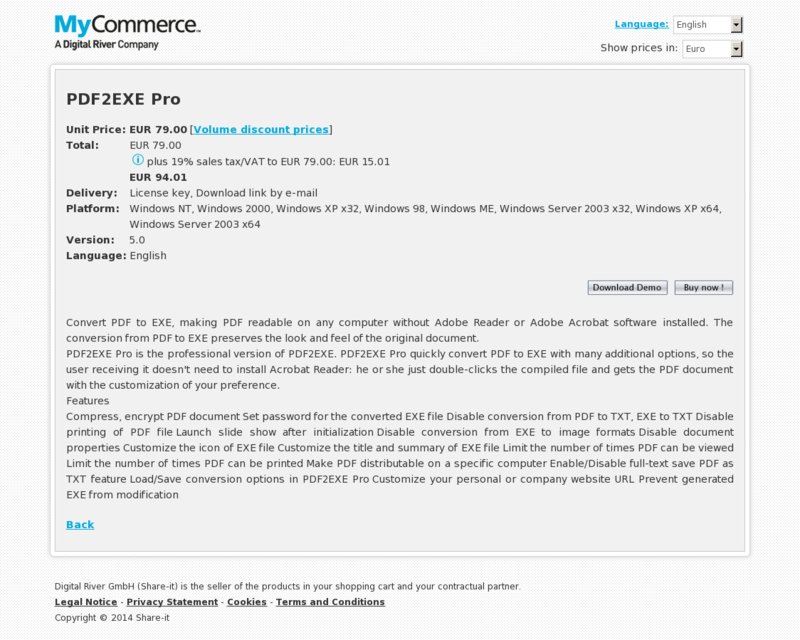 PDF2EXE Pro is the professional version of PDF2EXE. PDF2EXE Pro quickly convert PDF to EXE with many additional options, so the user receiving it doesn’t need to install Acrobat Reader: he or she just double-clicks the compiled file and gets the PDF document with the customization of your preference.